Lately I have been very determined to make some serious changes in my eating habits. I have felt compelled for quite a while, and desire to stick to this way of eating and thinking for my body and mind. I still love food but I am enjoying it the right way! One thing that I have been craving is ice cream. 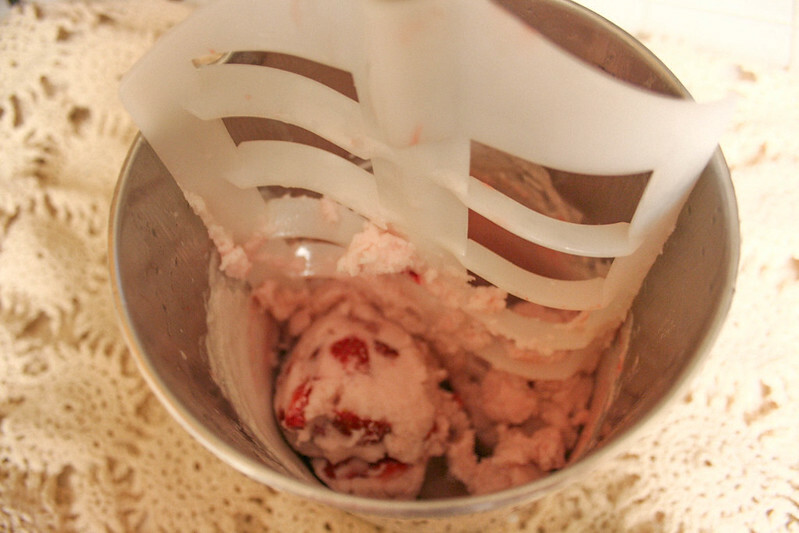 I have really wanted to make ice cream out of coconut milk and strawberries for some time now, so I dug out the ice cream maker and whipped up the easiest recipe! 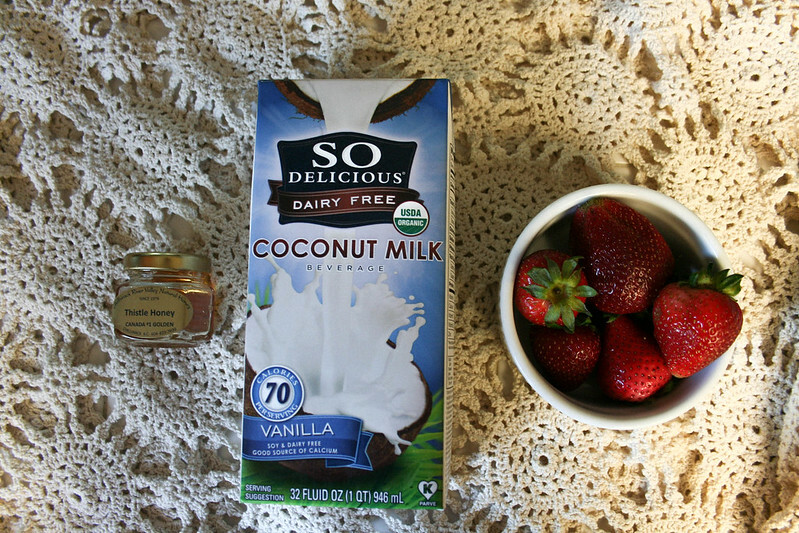 It is perfect for those who are avoiding dairy since it is dairy-free of course, and best of all made with organic ingredients, and satisfies your love of ice cream. This recipe (like most recipes)entirely goes by what you prefer to add to it. You can use any fruit you like, and anything for sweetening. I highly recommend using organic ingredients no matter what you do. 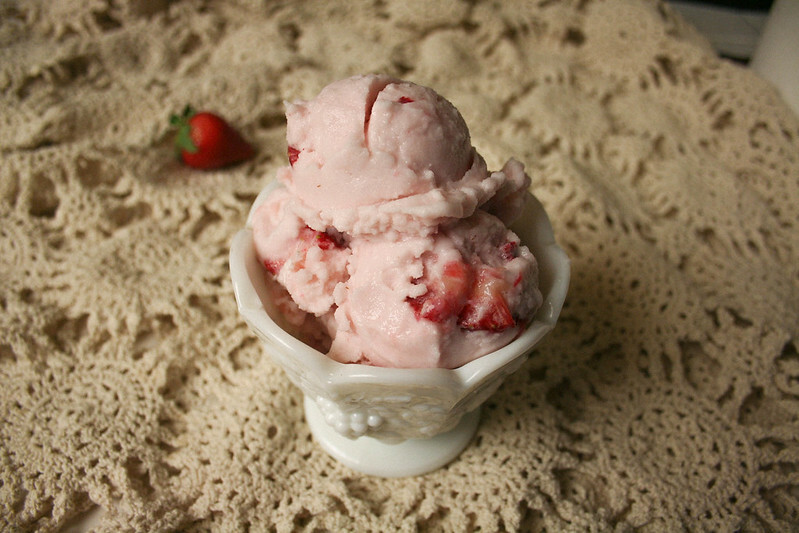 I love this recipe because it is a better alternative to ice cream when you want it. I urge everyone to find a better way to make all of their favorite recipes in a healthier form that you can trust! 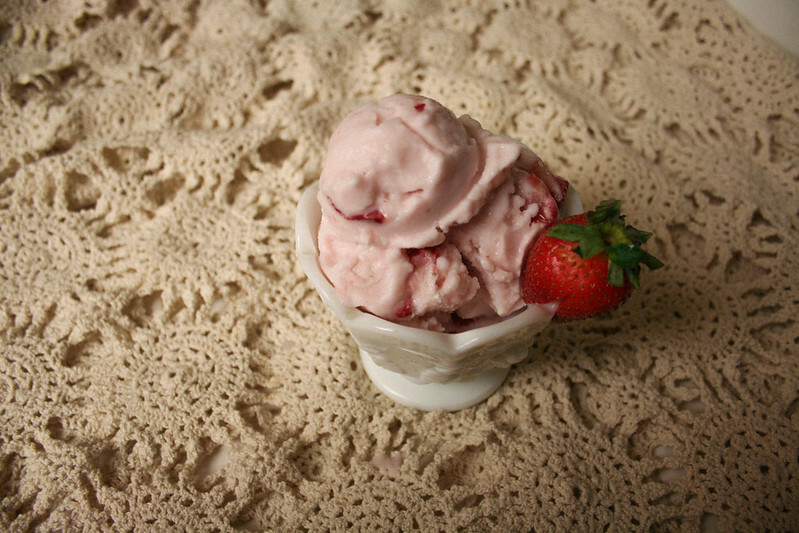 I used an ice cream maker and recipe was ready in 20 minutes! Scoop into a dish and enjoy! I really need to buy myself an ice cream maker. I'm pretty wary of all the crazy preservatives in store-bought ice cream, and this recipe seems like a great alternative! oh, how perfect. 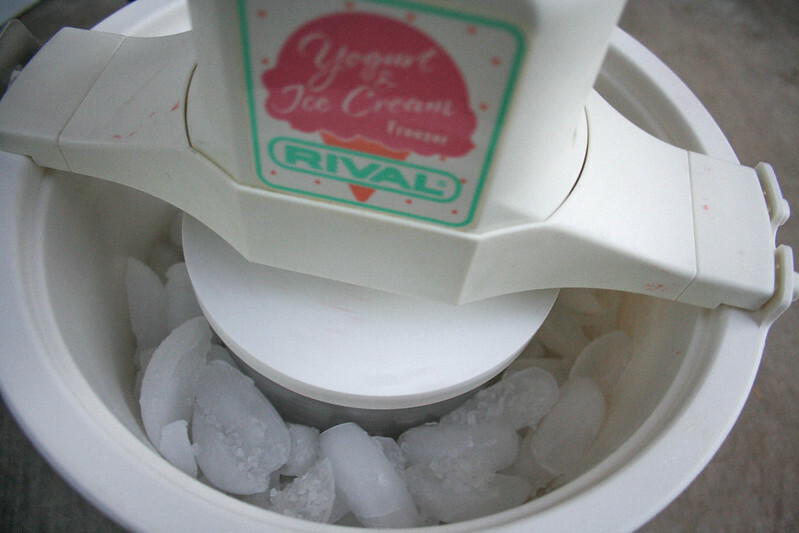 i need to make my own ice cream this summer. i also want an ice cream maker (which i used a two bags, one with ice now to make my own), it would make it so much easier! It truly does make it MUCH easier! Before I dug out my ice cream maker, I was just freezing my mixtures! It honestly tastes much better and looks better texture-wise with the ice cream maker. Making ice cream is so fun. 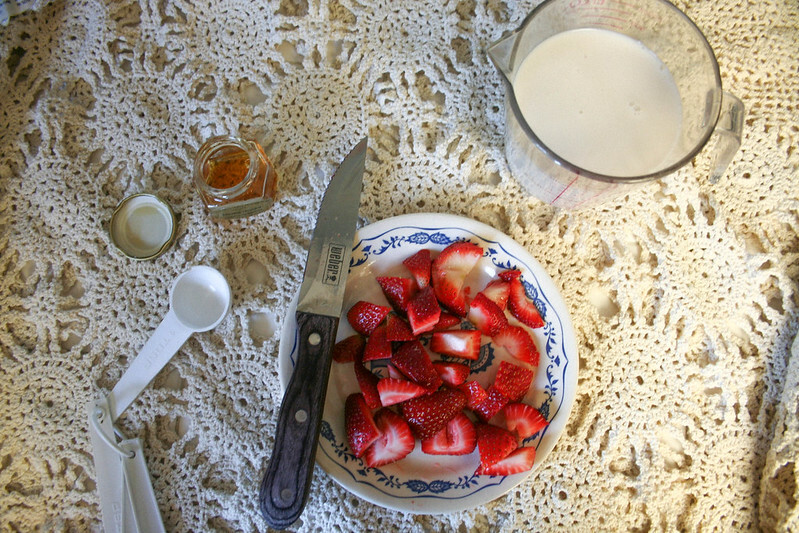 I want to perfect this recipe even better and make it richer and sweeter with different fruits. I've done blackberry which is also quite delicious! You're such a genius! This looks amazing!